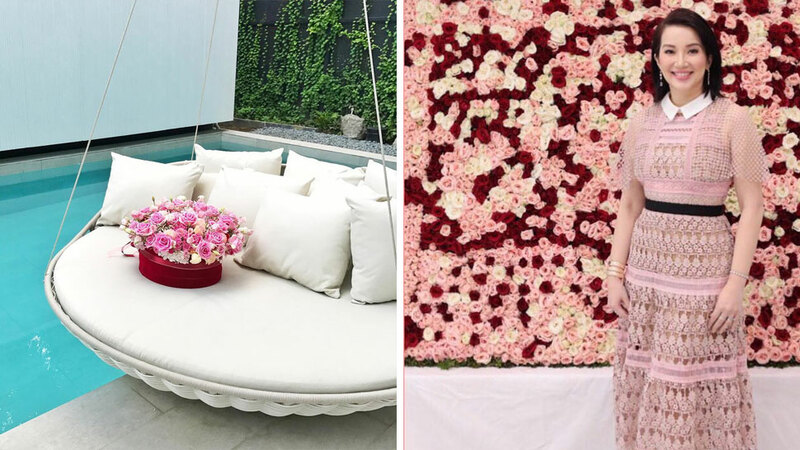 If you’ve been following Kris Aquino on Instagram, you’ll have an idea of what’s keeping her busy these past few weeks. Aside from working on #TheKrisList and filming a highly anticipated Hollywood movie, she’s also completing the look of her home in Quezon City. In a previous post, Kris mentioned that the house doesn't have a living area to accommodate a bigger kitchen space. A lanai by the pool serves as the special place where they can entertain guests, do a bit of work, and even bond over snacks and refreshments. Bathed in natural light and with a view of the outdoors, it features a glass-topped dining table and Jean-Marie Massaud's Seashell Lounge Chair. A part of the designer's Seashell Collection, the lounge chair in chalk features a wide backrest that seem to invite anyone to relax and take a break. Also available in bronze, the lightweight yet sturdy pieces are also stackable. To see the rest of the Seashell Collection, visit DEDON's website. Can you still remember how you envisioned your dream bedroom as a child? Some would wish for shelves filled with toys, others would want tons of books, and there are a few who'd love to have gadgets and video game consoles. As promised to her two boys, Kris completed a room with arcade games we only see in malls and parks. Purchased from Wonder Park and World of Fun, these games will surely delight Josh and Bimb during their free time. A shelf filled with shoes is added to one corner and rounds up the look of this man cave. While we'd all wish for a pool to beat the scorching heat, well-selected pieces of outdoor furniture can help you create a soothing spot where you can lounge, enjoy cold drinks, and spend some me-time. In a recent post, Kris shared that almost all of the pieces in the house were made in Cebu and Pampanga. A few of the must-haves we spotted were by Cebu-based global brand Dedon. Aside from the Seashell Lounge Chair, we also can't help but notice the dreamlike Hanging Lounger, an iconic Dedon piece from the Swingrest Collection. Designed by Daniel Pouzet, the Hanging Lounger features a basket-like structure, a rotating tabletop, and a sleek suspension. You can use it indoors as a sofa, too! To learn more about Dedon, click here. To be able to accommodate friends and family, the lanai is furnished with captivating seating pieces and other noteworthy must-haves. Seen a few steps from the glass-topped table is Ito Kish's Gregoria chairs—with its ornate details standing out. A part of the Baluster collection, it highlights the use of kiln-dried Gmelina and rattan. To see more of Ito Kish's creations, visit his website. For details on how you can order, e-mail info[at]kish.ph. Watch the short clip above and get a glimpse of the mini gallery as well. It features a portrait of the late president Cory Aquino and a few prized works of art. With white walls serving as backdrop, the colors and details all pop and capture the attention of visitors.